In some circles, shilajit is almost a panacea. There are entire books on fulvic acid. 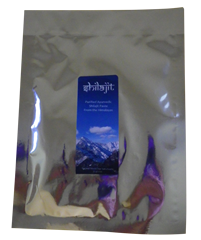 Shilajit is created by run off in the Himalayas that deposits organic material into the crevices and fissures of stones. These are placed in the sun so that the resinous substance comes to the surface and melts. It is sometimes called bituminous pitch or asphaltum. It is dark red to brown to almost black in color and very bitter and is said to enhance the efficacy of any other formula taken.